Hooray for being closer than ever to meaningful and significant legislative health insurance reform! But what’s on my mind today is a different kind of health care reform — something that doesn’t take an act of Congress, but is definitely a way of saying “cheers” to your health with just a little green. Organic greens that is. 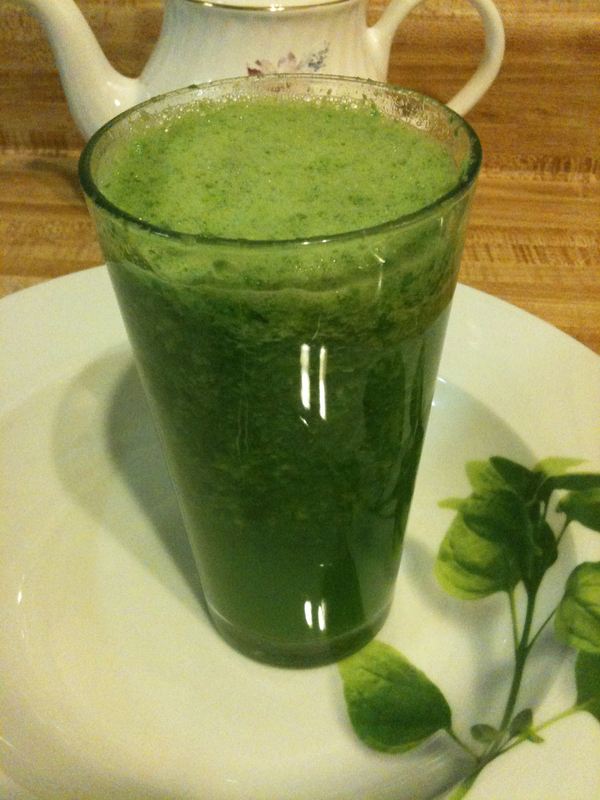 Spinach, kale, or swiss chard, mixed in with some cucumber, celery, green pepper, a strawberry or two, an apple, a bit of lemon juice and water, all blended up together and downed first thing in the morning, gives your system not only a wide variety of vital fresh nutrients and vitamins — it also provides enough glorious greens to gently alkalize your body and counteract any foods that may have an acidic effect on the body (meats, sugar, dairy, alcohol — all the fun stuff!). More and more studies and nutritionists are agreeing that an overall alkaline ph balance in the body boosts your energy, maximizes your metabolism, helps eliminate toxins and inflammation (which can lead to dis-ease), and keeps your cells operating in optimal vibrant health. Lettuce giggle more and gulp more greens along The Good Life Lane! This entry was posted on March 23, 2010 at 9:56 am and is filed under favorite things, wonderful ideas. You can subscribe via RSS 2.0 feed to this post's comments.